"Great way to build a library of user generated content"
We now have a library of user generated content that we can use alongside our own images. Easy to use interface after the recent update and streamlined rights collection. Robust tagging and search features. Image recognition capabilities are cool. Fast and helpful technical support. The platform is at the mercy of Instagram APIs. If a feature gets cut off by Instagram (such as the ability to collect photos from a location tag) then you become unable to collect certain photos that you could before. It's quite expensive to licence, so probably wouldn't be suitable for smaller businesses. Ensure you have a good community of contributors who are passionate about your product/service. The licence fee can be expensive, so ensuring that you have sufficient content to make it worthwhile is necessary. Discuss the implementation of the platform with your web, marketing and legal teams, as you will need their support. The onboarding team are very helpful and continue to offer support. 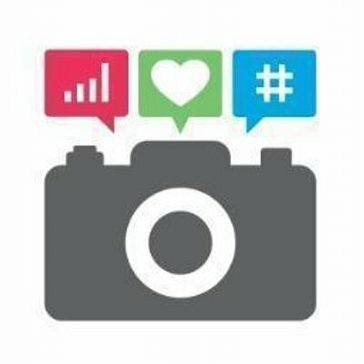 We were looking for a platform that would allow us to monitor Instagram and Twitter for UGC images and help us to categorise and display them on our website and other properties. We also needed an efficient and robust way to obtain rights to use the photos. We demoed a number of products and Olapic fit our needs best. I love the analytics tab for Olapic. The amount of information you are able to pull from this is astonishing and really insightful. We were able to figure out what products we needed to market better and which ones we needed to push on social. The dashboard was quick and easy to use and all very self explanatory. I found it hard to figure out which pictures I needed to follow up on for the rights approval. Some of the people did approve to have us use their content but they just didn't type in the rights message the correct way. Maybe if there was a way to filter by the ones that are awaiting approval and then also pull in the comments so you can see if there are any responses. We used this to figure out what we need to push more of on our social media and to figure out how our customers were responding to certain products. It was interesting to see what they engaged with. We were also able to see who our top influencers were which was great because we could figure out which bloggers we should gift to more often. "Olapic used to be great"
Olapic used to be great. It was the first user generated content aggregation platform I ever used. It was efficient, had great customer service and really seemed to be on the cutting edge of technology. The curation process, prior to Instagram's API changes and GDPR issues, used to be painless. The media library used to be organized well and was easy to navigate. We use UGC aggregated via Olapic on social and in emails. UGC has a sense of authenticity that we cannot get with branded photoshoots or stock. Olapic is great as it works like an alternative image bank. It also makes searching for relevant images really easy. There can be issues when Instagram make changes, but Olapic normally finds an alternative solution fairly quickly. Would definitely recommend this product if you want to use user generated content, as it's very easy to use. It allows us to use student generated content and solves the problem of not having enough photographs for marketing materials. "Up and coming, flexible company with solid concept"
Some account managers are a little prone to up-selling before maximizing on current purchases/solutions. The solution is fairly buggy and inconsistent, but it is a really new technology so I give them the benefit of the doubt here. If you are not comfortable or happy with your account manager, request another one. Partnering with a personality you can work with will make a huge difference in having this solution benefit your business. Keep in mind that they are still a startup and expect the platform and workflow to be buggy, since they are relying heavily on the social media APIs. The solutions closes a major gap in managing UGC in a quick, usable, revenue driving way. We're able to link users directly to the products featured in the UGC content and measure the ROI from each photo. Its a very simple, straightforward solution. Relationship with the account manager for our brand is solid. She is always willing to help and provide the right documentation or is ready to help us with our questions/concerns. New dashboard is easy to work in. Concept for driving revenue through UGC is on trend for our landscape. Moderation process takes a bit of time and the streams are a little buggy. I find that some content/imagery that I would like to show on the gallery won't pull through due to "off-brand" guidelines that were previously established but turnaround time is not always the quickest. Working with major social influencers/bloggers helps us feature their "get the looks" photos and provides more approachable and accessible content. "Great way to get UGC on our site!" That it's real content and can be tagged directly to products. We have seen a great ROI on product pages that have the user generated content tagged. People like seeing the UGC. It doesn't pull content from Facebook, which is because of privacy settings. However, it would be nice to have it pull from there, because many users upload only on Facebook. Getting more user generated content on our site, specifically product pages. It also helps with customer engagement. * We monitor all Olapic reviews to prevent fraudulent reviews and keep review quality high. We do not post reviews by company employees or direct competitors. Validated reviews require the user to submit a screenshot of the product containing their user ID, in order to verify a user is an actual user of the product. Hi there! Are you looking to implement a solution like Olapic?